With over 60 years of technical magnet expertise, Integrated Magnetics specializes in design-to-specification and build-to-print custom permanent technical magnets, precision magnetic assemblies and custom electrical machines. From prototype to production quantities, we are proud to be one of the industry's leading magnet manufacturers of complex, multi-level, turnkey magnetic solutions for diverse markets across the globe. 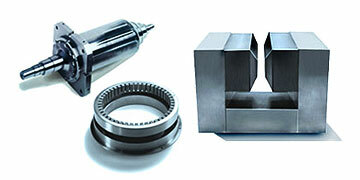 We offer a comprehensive line of technically-designed and custom-fabricated turnkey magnetic solutions, uniquely created for highly specialized functions and built to withstand the demanding requirements needed for high-performance and mission-critical applications. As trusted partners to military & defense contractors, aerospace, transportation, medical, semi-conductor, industrial automation and energy clients worldwide, we take pride in developing and maintaining long term relationships where consistency, reliability and data are key. 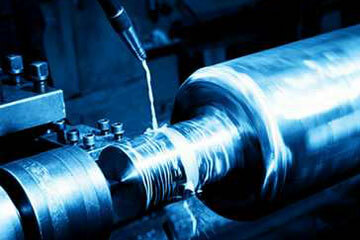 Technical Magnet Design & Engineering - Magnet design and engineering is the core of our business. We provide complete design & engineering support from mechanical design to electrical engineering, motor design & analysis, FEA modeling and more. We also offer valuable on-line technical resources such as on-line calculators, magnet FAQ's and an in-depth design guide to assist you. In-House Production Facilities - Our global in-house manufacturing and assembly facilities include clean rooms for complex assemblies used in ultra-high environments, dedicated assembly areas, extensive in-house machining (such as milling, turning, grinding & EDM), chemical cleaning stations, coil winding services and more. 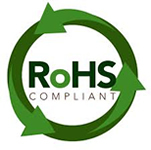 Quality Planning & Assurance - We use state-of-the-art inspection equipment and proven testing methods ensure that all of our delivered products adhere to rigid industry standards, meeting or exceeding our customer’s expectations. 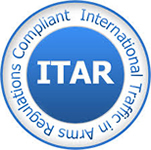 As a fully licensed and certified magnet manufacturer, we are ISO:9001:2015 certified, ITAR and RoHS compliant. Your Custom Project - How Can We Help? Send us a request for quote or contact us today to discuss your project's specialty requirements, and our experienced team of engineers will help you determine the most cost effective way of providing you with what you need. We also carry a large inventory of magnets for on-line purchase. Visit our sister company, MagnetShop.com to learn more. From stock magnets to complex magnetic assemblies & electrical machines, we are a vertically integrated company, providing complete solutions for virtually any magnetic application. Engineering is at the heart of our business.We are uniquely qualified in all aspects of engineering, providing magnetic solutions that are optimized for functionality, lead-time, cost & reliability. 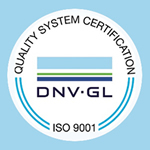 IS0 9000 Certified since 1998, we have a well-established QMS that meets today's critical standards. We build assemblies with multi-level Bills of Materials & our ERP, Planning, & QMS support these activities.